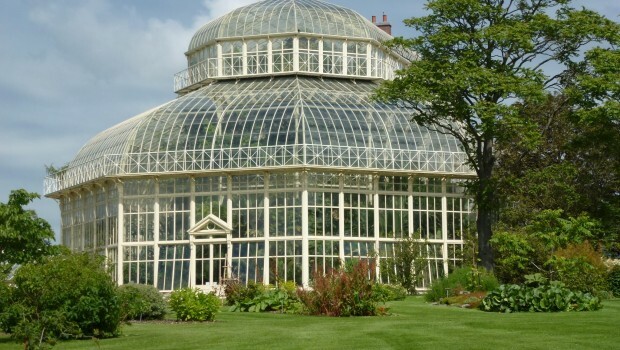 Did you know greenhouses were also known as orangeries? Orangeries sprang up in England during the Victorian era to allow owners to grow oranges, pineapple and other tropical fruits. Quite often, these orangeries were quite elaborate in construction. You will definitely need to supply heat to the greenhouse, ensuring the fruit is kept at it’s desired temperature, which is true of any crop that you are growing. It is useful to search online for the fruit you want to grow to find out the inside temperature the greenhouse needs to be kept at. 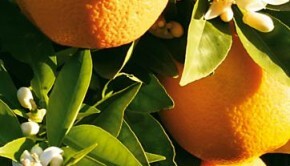 The most common fruits grown in a greenhouse are citrus fruits. Dwarf grafted trees are inexpensive to purchase and they can be grown in a pot. Just water them regularly and wait for them to bloom. If you decide to grow plants from seed, it can take up to ten years for them to produce fruit. Citrus plants typically produce an abundance of scented flowers that you will be sure to notice. Citrus plants require insect pollination and without them, hand pollination is necessary. This is accomplished by using a paintbrush to pollinate one flower to another, or you can gently shake the branches. When you notice the fruit budding, fertilize it and keep the soil moist and warm otherwise the fruit will simply fall off. Once or twice during the season add a prescribed amount of iron to the water when you tap them or else the leaves will turn a little yellow. If you can plan your citrus plants to bloom in the spring months, leave the doors to your greenhouse open so that insects can fly in to pollinate them. They will grow slowly during the summer months and be ready to pick in the winter. Keep the trees warm during cold temperature months because if they get too cold, the leaves will fall off and not grow again until the next spring. If you notice holes or discoloration on the leaves, stems or fruit of your plant, it is a sign of pests. Be cognisant of overheating in the greenhouse to avoid fungus infecting the plants. Check regularly for white flies and other pests and get rid of them as quickly as possible. One of the benefits of growing fruit in a greenhouse is the convenience of picking the fruit as needed. With the excess produce, you can trade with other growers or make fruit pies, jams and jellies to freeze for year round enjoyment.